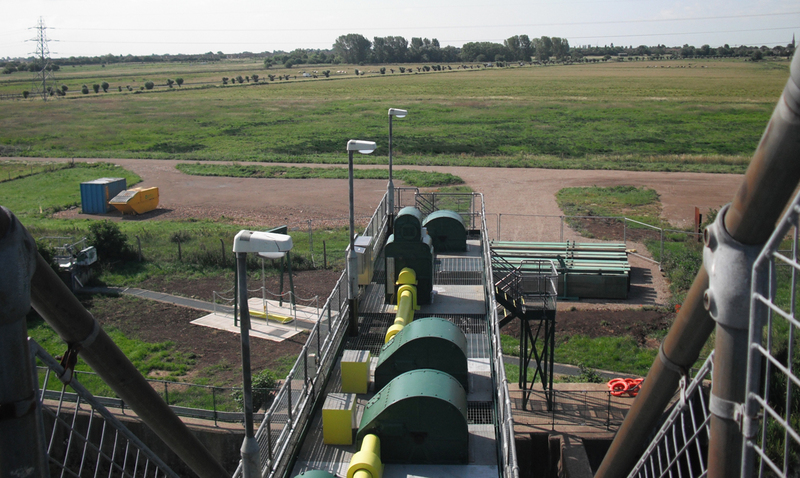 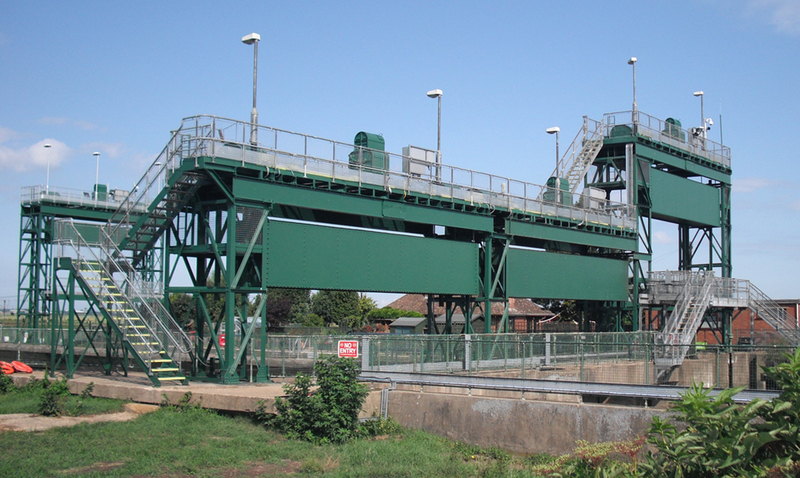 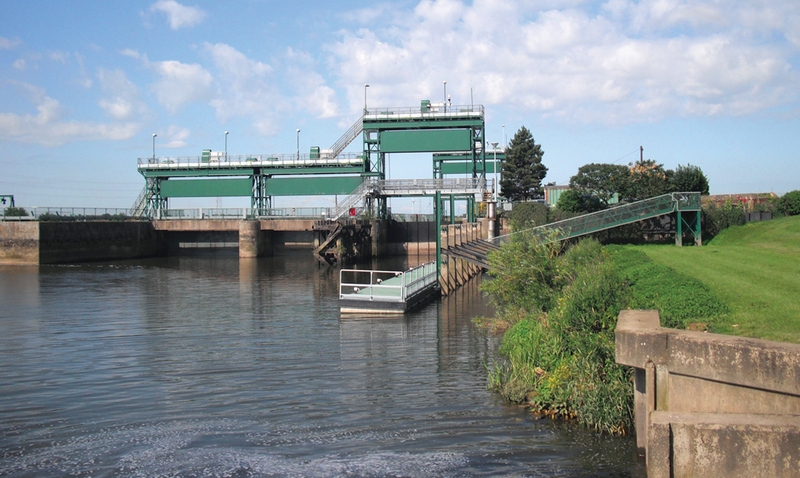 Qualter Hall were awarded the contract for the refurbishment of the Dog in a Doublet Sluice on the River Nene at Peterborough through the main civil contractor Birse Civils Ltd, who were commissioned by the Environment Agency to oversee the civil works section of the project. 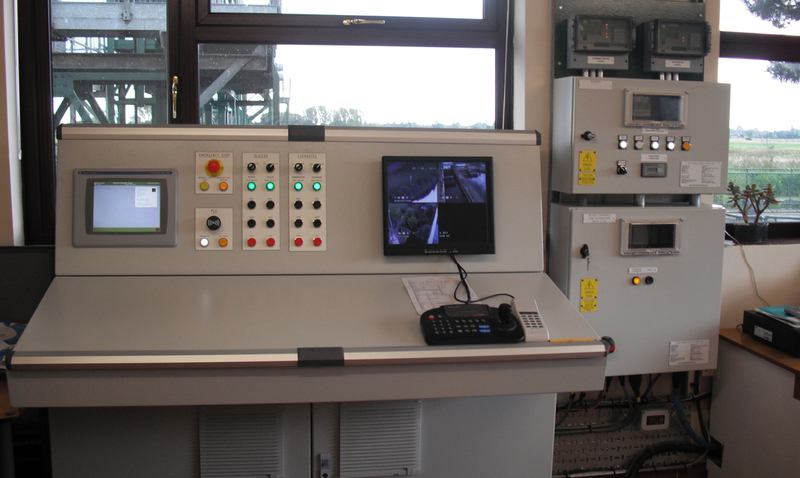 The contract included the repainting and repair of the superstructure and gate leaves, the design and replacement of the controls and electrical system on the sluice and adjacent lock, and the design and refurbishment of the mechanical operation system. 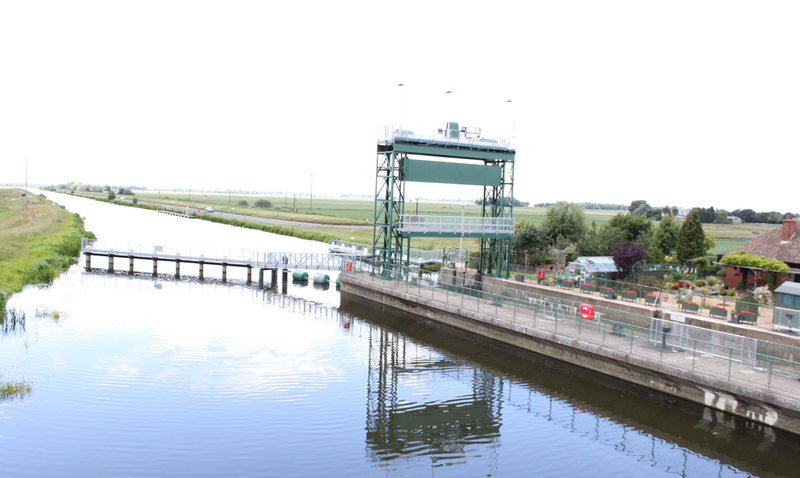 The Dog in a Doublet Sluice is situated on the River Nene 5 miles east of Peterborough, and protects Peterborough, the Ortons and the near Nene Valley as far as Oundle, from the tidal influence of the East Anglian wash. 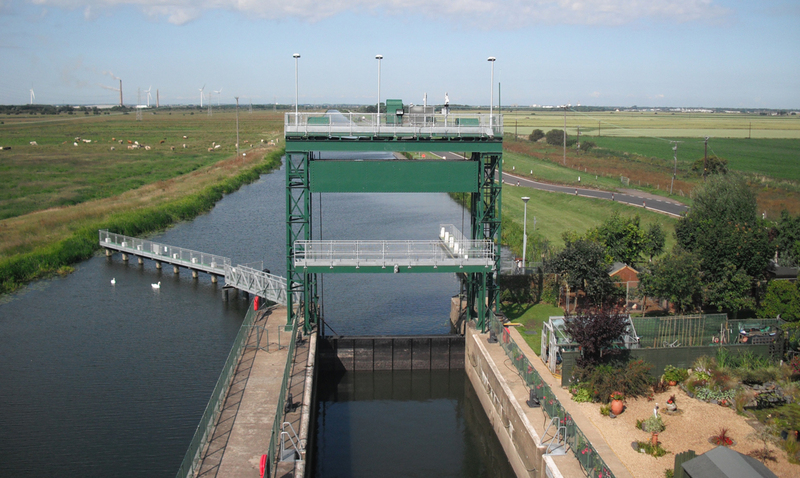 Installed in 1938 and used for both fluvial and navigation purposes, the sluice comprises 2 guillotine gates (North and South) and a navigation lock with 3 sequential guillotine gates (now reduced to 2 as the middle gate was deemed obsolete and dismantled as part of the refurbishment). Due to the proximity of the North sluice gate to the control room, this gate was used far more frequently than the South gate and was condemned back in 2002 as a result of becoming 'slewed and stuck' in the closed position during operation. 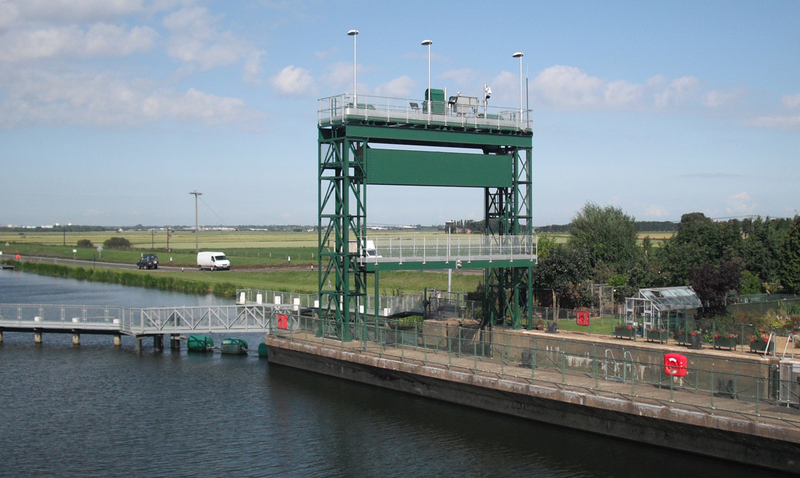 Since that time the South sluice gate had been used exclusively for river control, and both gates were in urgent need of repair. The project brought interesting logistics and challenges, for example, one of the sluice gates had to remain fully operational at all times to ensure that correct river levels were maintained. 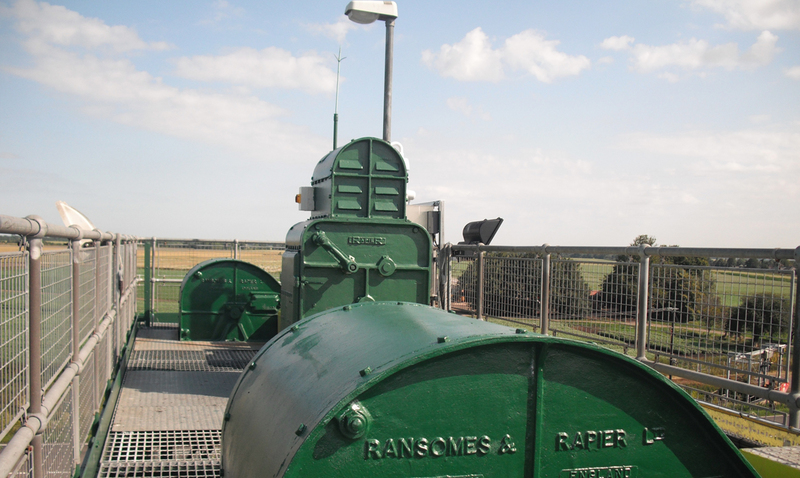 All repainting took place in situ, which required taking various environmental issues into consideration. 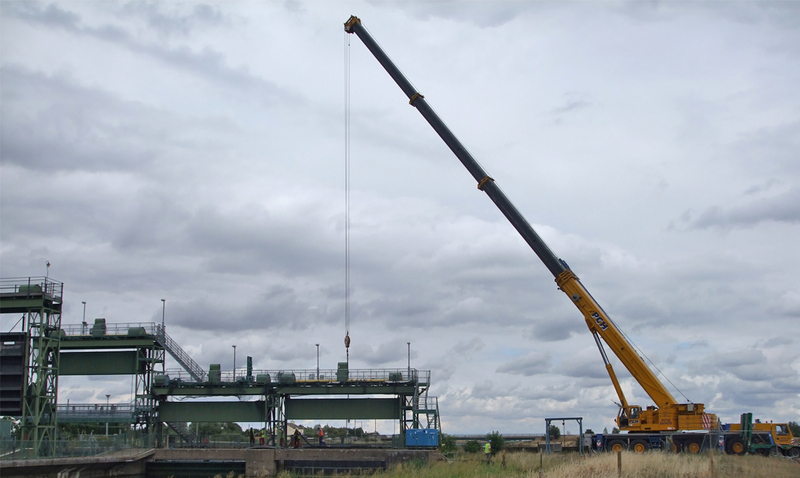 The contract also included the refurbishment of the gearboxes, which were still in use after 70 years!